Powder-lovers were treated to an extra special Christmas present this season, with Niseko’s backcountry gates officially opening a full week ahead of last season. Selected backcountry access gates in Moiwa, Annupuri and Hirafu resorts opened for the first time on December 23rd. 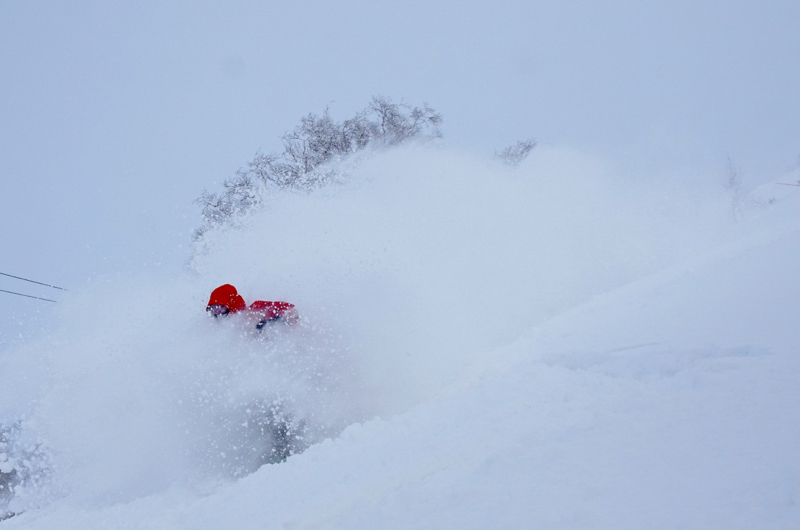 Locals, visitors and backcountry lovers ascended the Mt Annupuri peak and explored Niseko’s powder-laden sidecountry. 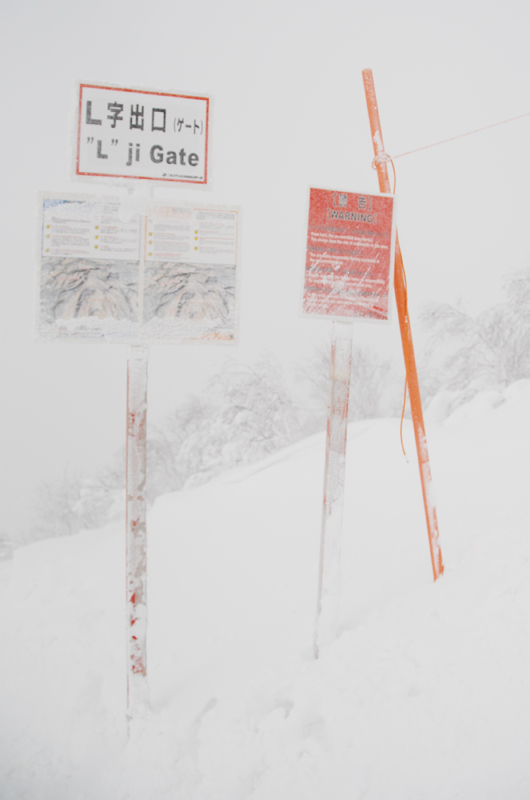 Strategically placed gates throughout Niseko’s four resorts and neighbouring Mt Moiwa mean powder lovers can ride lifts to the top of the mountain, step outside of resort boundaries, ski down through the forests and valleys outside, and then ski right back into the resort with minimal hiking and effort. When a gate is open, everyone is welcome: there are no beacon or gear checks – any skier or snowboarder is welcome to exit the resort, providing they accept and follow the Niseko Rules, which at their core boil down to three main points: don’t duck ropes, don’t exit resort boundaries when gates are closed, and avoid out-of-bounds areas. Niseko is one of few places in Japan that recognises riders that want to leave resort boundaries, and gives them a safe platform to do so. Strictly NO ENTRY at ANY TIME for ANY REASON. Haru no Taki and Yu no Sawa areas are out of bounds. Crossing boundary ropes and leaving is strictly prohibited. Use the gates at the ski areas, a total of 11 gates are installed throughout the ski resorts. There is no safety control or patrols outside the ski areas. When you are leaving these areas, do so at your own risk. Do not attempt to leave the ski area when the gate is closed. If it is thought there is danger, the gates will be closed. Daily NISEKO AVALANCHE INFORMATION is OFFICIAL Niseko Rules information. This information is posted on the internet, lift stops, backcountry gates, etc. Obey Ski patrol’s instructions at all times. For all users both in and out of the ski resort, please follow the instructions of the Ski Patrol. Children under 12 must refrain from going out of bounds unless accompanied by a proficient adult leader. Do not forget the companion system, not only for children but for all. Niseko Resorts,and the local community respect the freedom of mountain users and place a strong emphasis on THE SAFETY USAGE of the mountain. We hope that all will be able to enjoy Niseko safely. Crossing the ropes will give others the chance to break the rules. Many avalanches occur in blizzards, and around cornices and snowy overhangs. The backcountry access gates such a big part of Niseko’s ski culture that today it’s hard to imagine the resorts operating in any other way. But until 20 years ago, Niseko worked like any other resort in Japan: ducking ropes and riding outside of resort boundaries was strictly prohibited, and many people did it anyway. Knowledgeable locals familiar with Niseko conditions would avoid prone and dangerous areas, but powder-lovers from Sapporo and beyond were not as careful. Between 1985 and 2000 eight skiers died in Niseko’s backcountry, with many more non-fatal avalanches in between. These avalanches would make the news, then quickly be forgotten, only for similar mistakes to be repeated a few years later. Niseko became known in Japan as a regular avalanche hotspot, a reputation it maintains today. In 1995 after an avalanche killed a young skier who had followed the tracks of a seasoned veteran through avalanche-prone terrain, Niseko’s locals came together to find a better way. A collection of resort ski patrollers, resort and town officials, backcountry guides, instructors, pro skiers and snowboarders, some 90 people squeezed together into a small hut in Moiwa town and debated into the night. The Niseko Avalanche Institute was born. The prevailing feeling was that blanket bans did not save lives. After further tragic accidents, local government and ski resorts came on board to the novel idea of opening terrain instead of locking up resort boundaries, and allowing safe access under strict rules, hoping this new approach could reduce fatalities. Boundary ropes were greatly reduced in resort, and the first backcountry gates opened in 1999, with the Niseko Local Rules governing backcountry access. 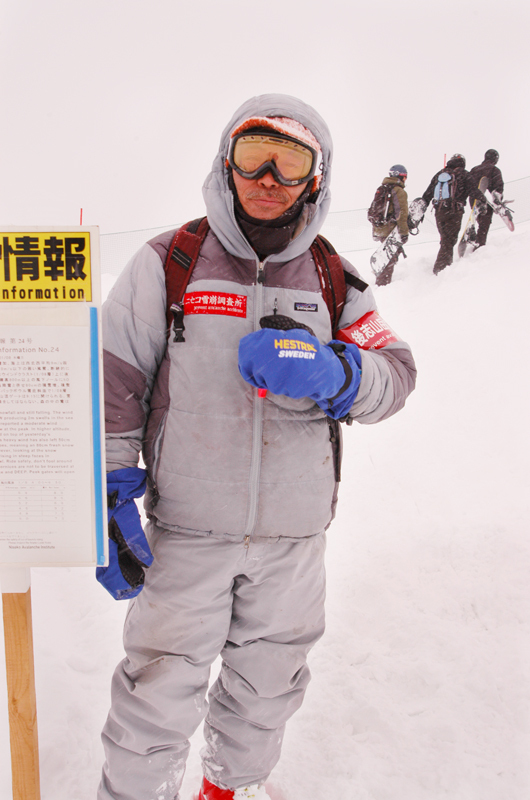 Shinya Akio, local mountaineer, is the institute’s head and its spiritual leader. Every morning he will check snow conditions across the Annupuri and Moiwa mountains, and write a detailed report that is counted as official resort information. 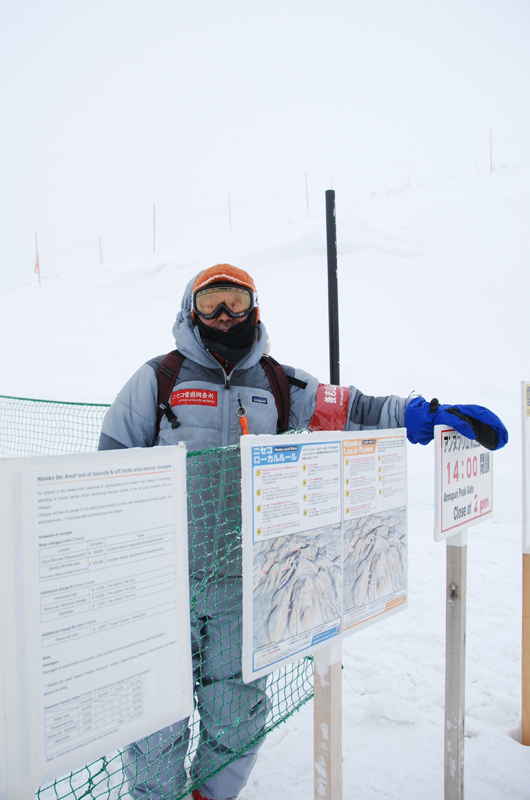 You’ll see his words posted at every gate and throughout each of the Niseko area resorts, describing snow pack and wind conditions across the mountain range and warning of any dangers. You can meet Shinya-san at his home resort in Moiwa, at the entrance of Gate 6, where he often greets early morning riders. Between him, the Avalanche Institute and ski patrol, decisions are made daily on whether resort gates are open or closed. Uniquely in ban-happy Japan, the rules have the blessing of local and national governments, ski resorts, local businesses, and everyone involved – for now. As Shinya-san puts it, the Niseko Rules weren’t made because experts don’t know what they are doing, or because knowledgeable, professional, seasoned backcountry riders need help or restraint. They were made because following these rules is looking after the weakest, newest and least experienced members of the community: tourists, visitors, first-time backcountry explorers falling in love with Niseko’s snow. In other words, your judgement is not just about not whether you can get yourself in and out of where you’re going safely, but that the person that follows your tracks can also do it. Your actions are putting more than just your own life on the line. Accidents still do happen, and often in areas where nobody should be. But Niseko has led the way in turning a “No” into a “yes, but”, choosing rider awareness, education and empowerment. The Niseko Avalanche Institute has met every year since its inception. The 21st annual Niseko Avalanche Institute Meeting was held in Niseko Town’s warehouse district on December 5th, 2017. In attendance were a who’s who of local guides, ski patrollers, ski and snowboard professionals calling Niseko home. Avalanche expert Yamaguchi-san from the National Disaster Mitigation research Institute spoke about the latest avalanche science: how the texture and moisture level of snow in Japan, and Niseko in particular, is so different that European models weren’t useful in predicting local avalanches. Yamaguchi-san has been working with the Niseko Avalanche Institute for over 15 years, collecting data and analysing avalanches with hopes of one day creating a reliable system for prediction and accident prevention. 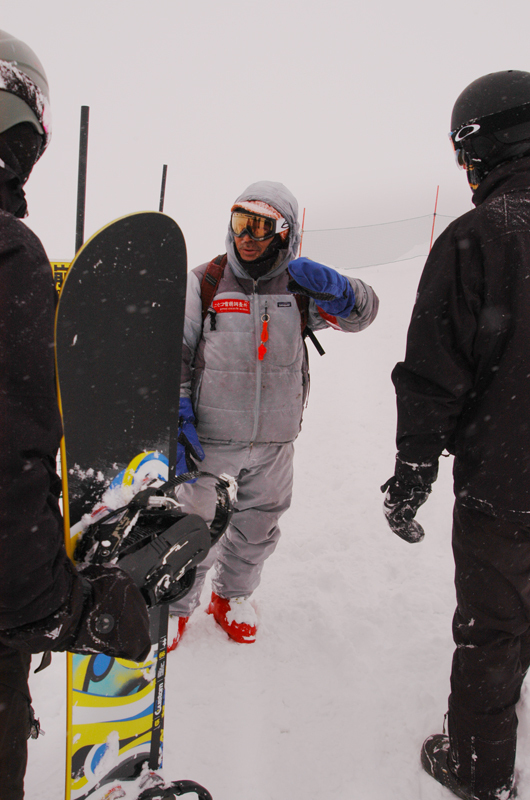 Shinya-san took questions and spoke extensively about the Niseko Rules. He was both frustrated with riders that continue disregarding rules and encouraging others to do so, and happy to see a steady year-on-year increase in aware, prepared riders exiting the gates. Respect the rules for you, and for the riders that follow you – and in exchange, the world’s greatest powder is yours to enjoy.